A few years ago, I got tired of the space in between my home and the vacant lot beside my house. I decided to build a stone fence. Gathering up all of the limestone around our yard, I spent one Saturday hauling and stacking. I ended up with a kind of pathetic looking, but very satisfying stone wall. I felt that after my many years in Kansas, I had somehow arrived. As it turns out, I’m not the only one who has a nostalgic feeling about piles of stone in this state. The biannual Stone Fence Restoration Workshop was developed to help ranchers and farmers living near the Native Stone Scenic Byway learn how to restore old stone fences on their land. It has turned into a draw for history buffs and people from around the mid-west looking for a way to recreate and experience this unique part of pioneer life. Wabaunsee County Economic Development Director Abby Amick told me a little bit about why they sponsor the workshop and why stone fences are such an important part of the Kansas story. 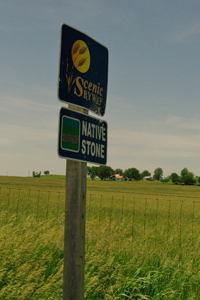 What is the Native Stone Scenic Byway? Our Byway is a state designated byway. We identified the route based on stone features: stone outcroppings on the hillside, stone fences, stone barns and stone buildings. From the East it comes down K-4 through Dover to Eskridge and then North on 99 through Alma to I-70. It runs about 54 miles. Why were stone fences built like this in Kansas? The stone fences were put up by early settlers. When the government abolished open range, they paid people to put up the fences. Since there weren’t trees here, they used stones. The government paid 40 cents a rod, and a rod was 16 1/2 feet. They had to be 4 and a half foot tall to get the 40 cents. The folks that settled the area ended up putting up the majority of those fences on their own lands. They bordered the property lines. These fences can be found throughout the Flint Hills. Here in Wabaunsee county in Chase county, Morris county and Pottawatomie county. The kind of rock we have here is more suitable for building a fence and a fence lasting. In other parts of the state there are stone posts. Where are the fences and what’s their current condition? Most of the rocks are still there. They have just shifted or fallen over. Now, the property lines have moved. A lot of them are 100 acre squares a lot smaller than our current property lines are. They’ve been there a long time, and have dealt with the elements. Heating, cooling and freezing and putting them back up in the summer. What do people learn in the workshop? Our workshop teaches people how to reset those rocks in the same place where they were. Most of the fences were put up in a hodge-podge way because the government just said, “Build a fence.” So, people just did it their own way. They just did with what they had. They were stacked with no mortar. The stones in this area were broken off in a way that made them conducive to rock fences. It also made good stone for buildings. The stone didn’t have to be shaped. 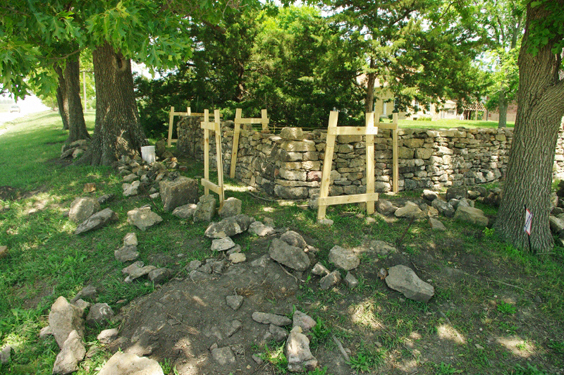 Part of our mission for the Native Stone Scenic Byway is preservation of our stone structures. The stone fences are the cheapest and most accessible thing we can maintain or teach people how to maintain. The buildings are very expensive to renovate. Stone fences are plentiful. A lot of people found them to be a hazard. They were tearing them out. So, that was motivation, to teach land owners how to rebuild. We hire an instructor from Emporia certified by the Kentucky Stone Fence Conservancy. We had several ranchers interested and come to the workshop and make improvements to their properties afterwards. Who goes to the workshops, and why are they interested in building stone walls? We are quite surprised to get some from Oklahoma and Kansas City and all over the place. Some people have a project in mind. Others just want to be a part of history. They admire the fences and just want to see how it’s done. We have some local examples of people who took the workshop and did some work. So far, people are just doing it for the fun of it. Not so much the skill but for the fun. September 29 & 30, 2012. It starts at 8:30am and goes until about 3:00 pm both days. Applications will be posted online at wabaunsee.com or e-mail abby@wabaunsee.com for more questions. The next Spring workshop is April 27 & 28, 2013. 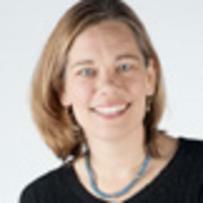 The workshops have a limited participation of 20 people, but spectating is FREE and welcome. You can see the results of this year’s restoration project along the byway 3 miles north of Dover at the intersection of K-4 and Crawford Road.